Learn belly dance in a very easy and funny way, as never before! During this class you will experience all the different styles of oriental dance, from dabke to shimmies! You will have a great aerobic workout to help burn calories (up to 500 calories) and shaping your body. This class is considering a lower impact exercise here some benefits: Improves posture, gives flexibility and tones all the muscles, Prepares the body to be in good conditions for childbirth as most of the movements tones the muscles that are involved during birth, Connect with the femininity as oriental dance has unique movements and expressions that stimulate femininity, Increases the body´s own recognition by movements dissociated, Increases self-esteem by having full control of the body being more aware of themselves. Gentle vinyasa is an awakening sequence which consists of mindful and thorough warmup and stretching, modified sun salutations to help you build strength and standing asanas to develop balance. In this class you will learn to synchronize your breath with movement in a fun atmosphere. Gentle vinyasa flow will help you awaken your energy and increase flexibility. 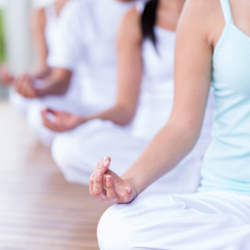 The class starts with breathing exercises to center the mind and connect to the body. We then warm the body with sun salutations followed by held standing postures while emphasizing on correct breathing and mental focus. There will be a unique focus for each session emphasizing a particular part of the body which be explained at the start of the class. We finish with breathing and relaxation. You will benefit both mentally and physically from this practice. Our eco-friendly Far infrared heating panels (FIR) create a drier heat that heats the body cells rather than the room, which means you experience the benefit of hot yoga without dripping with sweat while you flow through an ever-changing sequence of postures. 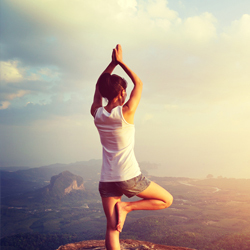 We are delighted to combine an asana practice and a heated environment in a non-scripted way. Each class is taught in the tradition of the teacher. All classes will include modifications for students of all levels. Practice first thing in the morning and start your day with a blast of energy, or burn off some steam after work. You will leave physically content and mentally nourished where it’s a 60 or 90 minute class. Kundalini is referred to as the Science of Awareness. It uses a combination of postures, chanting, meditation & breathing techniques that help calm the mind, releasing tension and stress, giving you a full mind body workout. Practising Kundalini builds strength and focus giving us the energy to be able to deal with all that modern living throws at us. Kundalini Yoga is safe and can be introduced easily into a busy life; it will give you more energy, more creativity and a feeling of clarity and peace. 50 minutes of active, flowing vinyasa, followed by 10 minutes of exquisite, restful restorative meditation. 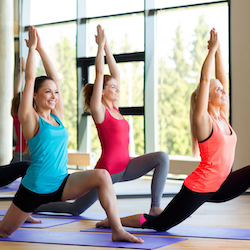 Power Yoga gets your body flowing, creates heat, improves coordination, balance ,strengthens your muscles and has a strong emphasis on challenging your body in a fun way, while the restorative aspect of the class allows you to cool down in a grounded and mindful way. This mix makes this experience the perfect class to start off your day and feel the vibrant energy that it creates in you. Practicing yoga throughout your pregnancy is a wonderful gift for both yourself and your unborn baby. Prenatal yoga will help you be in the best possible mental & physical shape for birth and beyond! Benefits can be felt on all levels – physical, mental, emotional, and spiritual. 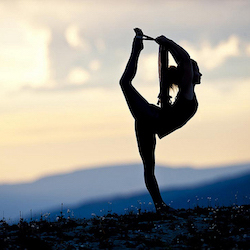 A regular practice will help increase strength, stamina and flexibility. You may also find that yoga helps you deal more effectively with stress and anxiety, and you will treasure the quite time set aside for your practice as a sanctuary for you to connect with the baby growing inside you. Class will focus on Asana (postures), Pranayama (breathing techniques), positions of labour, birth and relaxations whilst working through troublesome ailments such as back pain and water retention that come from being pregnant. Before commencing any pre-natal class it is important to consult your doctor, especially if you have had any complications in your pregnancy, including a history of miscarriage. 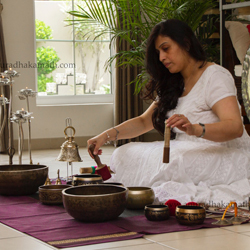 As meditation is known to be an integrate part of yoga practice, the benefits of sound healing to the practitioners can be enormous. The gong, an oldest musical yet therapeutic instrument in the world, produces the frequency matching the sound of OM, which is the sound of the universe. They remind us that we are all a micro cosmos in the macro cosmos. All those who are around the sound frequency emitted are rendered thoughtless as their brain waves are altered from a Beta state, which is a waking state of mind to Theta & Delta state, which is a deep meditative state of mind. Science teaches that during these brain frequencies we access our deeper subconscious mind for healing. 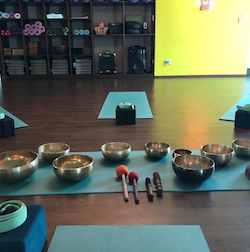 Because the tones and vibrations of the gong do not follow a predictable pattern like other musical instruments, the mind loses the desire to control and surrenders to the gong. This is when the healing begins. This is also referred to as a “Gong bath”. Our bodies are made up of 70-75% water and our brain up to 80% of water. If we are compositions of energy and water, Sound & Energy frequencies have instantaneous effect and initiate Mind-Body-Energy Cleanse in the meditators. This passive yoga practice is an excellent way to stretch and lubricate connective tissue deep within the body. Yin Yoga is different from Hatha yoga as it involves fewer postures which are seated or prone and are held for 3-5 minutes each. Yin Yoga is great for anyone who experiences tightness in the muscle tissue and joints. It's a blend of Yoga & Pilates with focus on core, taking care of belly & hips curves & health of the spine. ZUMBA® is a fusion of Latin and International music / dance themes that create a dynamic, exciting, and based on the principle that a workout should be “FUN AND EASY TO DO.” The routines feature aerobic/fitness interval training with a combination of fast and slow rhythms that tone and sculpt the body. 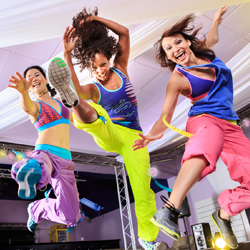 Zumba is a “feel-happy” workout that is great for both the body and the mind. Using a combination of breathe practices, a gentle flow and a series of poses to open and release areas of tension, restorative yoga is the perfect way to wind down after work. These classes help shed the stresses of the day, leaving you feeling lighter and more at ease in both body and mind. 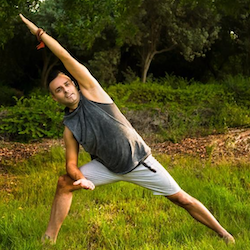 This special yin and yang yoga class will combine the more dynamic and active yang part design to build heat in the body with the more introspective and slow yin part where poses are held longer. Both parts of the class are based on teachings of the Meridian system in Traditional Chinese Medicine and will explore one of its elements. The moon has no qualms about embracing the darkness within it, getting engulfed by it and yet again coming back to shine in its full glory. A full moon symbolizes victory over darkness. A powerful reminder that hope and triumph is within us. Our goodness cannot be drowned by darkness and keep our inner light hidden. 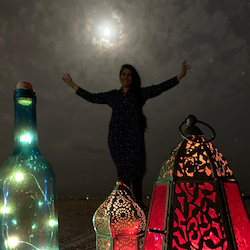 The waves of the positive energy emitted by the moon and the sea will be complemented by the waves of sound created by Anuradha as she plays a medley of sound healing instruments. Intense breath work quietens the inner chaos. Rhythmic humming invoke positivity. Gentle postures of Gong Yoga & Hand Mudras align the mind & body. Aroma therapy interweaves itself through guided meditation to give you the desired deep dive within yourself.